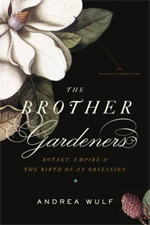 And here is another nice review in the Independent. 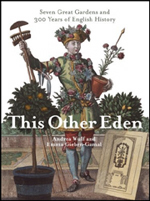 ‘Ein ganz bemerkenswertes Buch … erstaunliche Lebendigkeit … spannend geschriebene Geschichte … Das Buch von Andrea Wulf setzt Maßstäbe. The German edition of ‘Chasing Venus’ (Die Jagd auf die Venus) has been shortlisted for Science Book of the Year (Wissenschaftsbuch des Jahres). Now the reading public decides who wins. I need your votes. Please click on this link to vote after reading the instructions below because the voting website is in German. You will be directed to a German website. There are four categories. The left hand column of those is called ‘Naturwissenschaften / Technik’ – that’s my category. Scroll down and you’ll see the cover of my book ‘Die Jagd auf die Venus’. Just underneath is a button called ‘Meine Wahl’ – click there. Then click on an arrow called ‘Voting bestätigen’ on the bottom of this page. 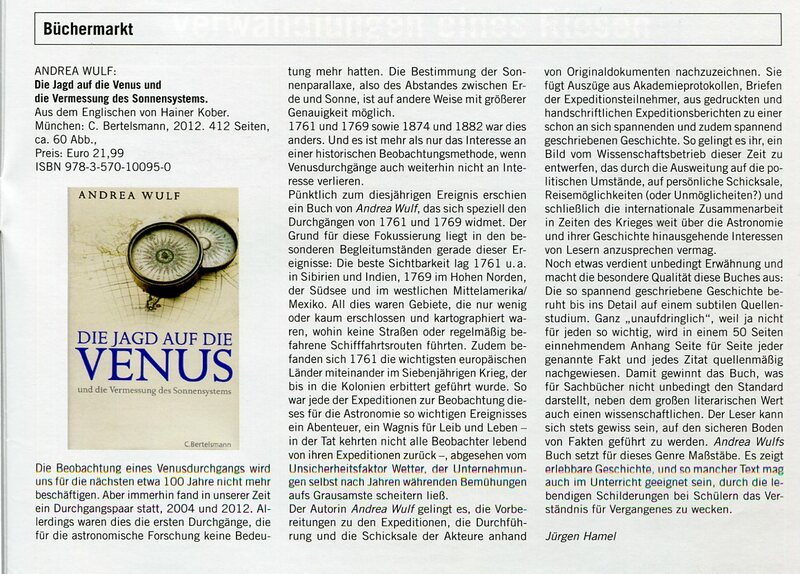 A wonderful review of Chasing Venus in the German magazine 'Astronomie und Raumfahrt', praise includes 'exciting story' and 'Wulf's book is setting a standard for the genre'. Best things to do this week: Salon London & Chasing Venus 3 Oct. According to the Daily Telegraph this week's Salon London is the 'thing to do'. I will be doing a talk on 'Chasing Venus'.